Donald Clark Plan B: Csikszentmihalyi – don’t go with the ‘flow’! Csikszentmihalyi – don’t go with the ‘flow’! Mihalyi Csikszentmihalyi (pronounced chick-sent-me-high-ee), former Professor of Pyschology at the University of Chicago , has contributed a theory that is oft quoted in learning and hugely influential. His concept of ‘flow’ postulates mental states of optimal performance where we are ‘in the flow’. This, he thinks, applies to many cognitive tasks such as sport, programming, writing and, importantly, learning. He asks us to take the experience of flow into consideration when designing and delivering formal and informal learning. But do his theories really apply to learning? Linked to creativity, happiness and satisfaction, he sees ‘flow’ as ‘being completely involved in an activity for its own sake. The ego falls away. Time flies. Every action, movement, and thought follows inevitably from the previous one, like playing jazz. Your whole being is involved, and you're using your skills to the utmost.’ It is sometimes described as being in the ‘zone’ or ‘groove’. But is there a problem with the word ‘flow’? At times, it seems a little vague and used in several different ways – mental state, process, actions. It is also difficult to relate the concept to hard, scientific evidence and data. Indeed, much of his work draws from anecdote and unusual cases. Intimately linked to positive psychology, he has explored many aspects of flow in practice. For example, his examination of 90 creative people across a wide range of disciplines was explored in in 'Creativity: Flow and the Psychology of Discovery and Invention' (HarperCollins, 1996). He has also applied his ideas to business and sport. Indeed, his more recent work, with Howard Gardner, has been in in the application of these ideas to work and business. 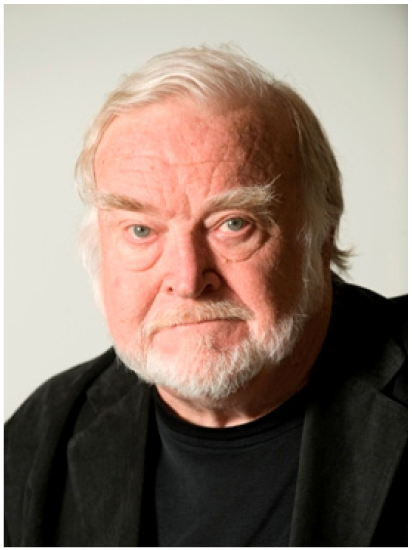 Csikszentmihalyi gathered huge amounts of data on mental states through spontaneous surveys. A randomly beeping watch triggers people into reporting how they feel, data that fuelled his research into optimal experiences and ultimately to his core concept ‘flow’. This approach worries many professional psychologists as it assumes the reliable self-reporting and in terms of retention and learning, doesn’t give us much useful data, as self-testimony is notoriously unreliable in learning. In his essay ‘Thoughts About Education’ he points to the huge gap in education between the ‘dismal reality and expectations’. He sees most research as being misplaced, lacking a focus on motivation. The main problem is not that people can’t learn, it’s that they don’t want to. His focus on intrinsic motivation searches for ways to make learning more enjoyable and satisfying. So far so good but what do his theories really add? 1. Challenging but not too challenging tasks. Similar to Vygotsky’s ‘Zone of Optimal Proximity’ this sounds good. But the problem is how this is achieved, as most learning experiences force the flow of the teacher not the learner. Interestingly, online learning, especially when personalised and adaptive, is much more aligned with his theory. 2. Concentration. True but we’ve long known that psychological attention is a necessary condition for learning, so nothing really new here. 4. Immediate feedback. Now this is where it gets interesting, as detailed feedback may interrupt flow. Realtime feedback is fine in flight simulators and immersive games but useful feedback in learning involves stopping the ‘flow’ to make the learner reflect and adjust their thinking. In fact, saying in the ‘flow’ may not result in the deeper processing in memory needed for retention, it may result in surface learning, the appearance of learning, with low retention. 5. Deep, effortless involvement. Another interesting feature that suggests abandoning classroom and lecture based models, where the activity is rarely deep, effortless and involved. But really only a symptom. 6. Sense of control over actions. Really a symptom. 7. Concern for self disappears. Really a symptom. 8. Sense of time is altered. Really a symptom. There are two main conclusions to draw from this. First is that his first four main, practical recommendations (challenge, attention, feedback & goals) are really only bits of existing theory from the psychology of learning, useful but not novel. So the idea of ‘flow’ seems like an unnecessary abstraction, especially if some types of feedback are more episodic and break the spell. Second, his last four criteria are really just symptoms of attentive states. Csikszentmihalyi doe see his ‘flow’ theory being at odds with most teaching in classrooms and lectures. It implies the removal, as far as possible, of the teacher from the equation as this is the learner being forced to adapt to the flow of the teacher or lecturer, not their own attentive learning.. One could argue that it strongly suggests online learning, especially sophisticated task-based online situations such as simulations and games. To be fair, he also attacks the illusion of learning through television. Its long-form formats produce not ‘flow’ but a suspension of disbelief that results in little learning or retention. The flow of learning is not the flow of movies and TV. At the other end of the spectrum he also notes that a major constraint on people enjoying what they are doing is being conscious of a fear of how they appear to others and what these others might think. This mitigates against theory which pushes group learning or contexts in which the learner may be exposed to the judgements of others, an interesting, important but rarely aired argument. One could argue that ‘flow’ is merely a synonym for ’psychological attention’ and that this is an umbrella term for a cluster of different attentive states. In fact, as he recognises, the flow one experiences in watching TV or a movie (largely suspension of disbelief) may result in shallow processing and poor memory and retention, precisely because one is in flow of a medium that takes you forward at its pace. Deeper processing in learning seems to require interruption, activity and reflection. These are very different types of conscious states and just because we’re absorbed, doesn’t mean that there’s one definitive state, called ‘flow. Spaced practice theory also suggests that flow needs to be disrupted and made episodic if retention is to be increased. So although, at first, flow theory seems to identify something that is intuitively right, it may do no more than over-simplify different cognitive states and fly in the face of many solid pieces of learning theory. Flow may, when unpacked sometimes be the enemy not the friend of learning. Csikszentmihalyi is one of the few psychologists who have a concrete motivational theory, based on large samples of empirical data, that points towards states of mind that optimise learning. These seem to be far more individualistic and solipsistic than most contemporary theory. However, he may have pushed his theory too far in ignoring the problems it poses for actual learning, in terms of feedback and spaced practice. Although it may, on first sight, have a certain allure, when unpacked it has it weaknesses and contradictions. Like the word ‘happiness’, ‘flow’ is a simple abstraction, not a watertight theory. Csikszentmihalyi, Mihaly (1996). Creativity : Flow and the Psychology of Discovery and Invention. New York: Harper Perennial. Thoughtful piece as usual Donald. The number of people who actually cite sources must be down to a handful now. I was just wondering about your thoughts on how the idea of flow applies when viewed from the designer's view. Do any of his ideas seem useful in getting instructional design away from a viewpoint, that in my opinion, honors the content much more than the learner? 1. To move towards 'adaptive' online learning where more sophisticated algorithms and data are used to keep learners in the 'flow'. Most online learning seems like a chore because it's not your flow but the linear flow of the designer. 2. It pushes people towards more 'challenge' in online learning. Less condescending, easy to answer MCQs. 3. More simulations, which have more sophisticated challenges and feedback. 4. Higher quality feedback and not 'scoring'.